Community engagement news, updates, information and education from around the Sooke Region. Educational Sessions for seniors continue to be very popular. All sessions are by donation only, and free transportation is provided. There are some new sessions at Sooke Yoga and Wellness Center and SEPARC. We have Easy Movement for Healthy Brain, Movement for Better Pain Management, Philosopher's Cafe and many, many more to join. Some sessions, which were so popular that we had a long waiting list are back. It means Introduction to Tablet and SmartPhone, Taste of India, How to Make a Will or Advance Health Care Planning. are on our schedule again. Pleasde go to our calendar events for all details. We will not be able to organize all those session if we do not have support from our volunteers. They are helping us to make it possible participating in all workshops. We are also looking for Volunteers who will be helping us to run a tax clinic this year. If you would like to help people in our community and if you have a basic understanding of income tax please volunteer to help people by doing their taxes. With the Community Volunteer Income Tax Program (CVITP), you’ll be helping people get the benefits they’re entitled to. As a CVITP volunteer, you’ll receive training, guidance and tax software. Please give us a call so we will tell all details. Help someone who is new in Sooke to practice English. We have French speaking person who would love improve his communication skills. Please give us a call for more details. Sooke Loan Cupboard requires one or two reliable individuals that can assist Monday mornings between approx 10:45 - 11:45 with cleaning equipment loaned through their program. Even if you can commit once or twice a month would be great. Victoria Literacy Connection for Sooke Region is looking for tutuors and learners. This is a free tutoring for youth, children and adults. If you are interested, please contact Victoria Literacy Connection at 250-385-0014. Do you want to join some yoga classes for free? Yes, it is possible if you decide to dedicate your time and volunteer there. Please contact Alanda for more details. Her phone number is 250-642-9642. Help feed people in need by getting involved with Meals on Wheels. There are a lot of volunteer opportunities at Ayre Manor. 6. And much, much more. Please contact us for more information. Do you want to know what else you can do to help our community? Check our website for updated volunteer opportunities. There is a lot of options for almost everyone! Too many to mention them all. If you would like more information about community events please go to our calendar. Educational Sessions for seniors continue to be very popular. All sessions are by donation only, and free transportation is provided. Our Volunteer Centre plays a significant role in those sessions. It will not be possible to have that extensive program in Sooke if we do not have our volunteers who invest their talents to support us. Our volunteers are everywhere. They distribute flyers, are in the office to help with the program preparation, they will answer your phone calls, and there are so many of them during educational sessions to prepare and provide refreshment, welcome participants, check attendance, introduce our guest speakers. November will bring new sessions about Alzheimer, Downsizing, Nutrition Talk, Advance Health Care Directive, How to Make a Will, Introduction to Tablet, How to Communicate Through email and Skype. Most of sessions are fully booked and waiting list is available. We are planning to offer same sessions in new year. This educational program for seniors is growing very fast. More sessions will be available in the close future.Please help us to make it happen and volunteer. We are seeking interested people who would be willing to: introduce guest speakers, time keep, collect donations, and set up provided refreshments. We will be asking you to work a few 2-hour shifts per month. For more information please give us a call at: 250-642-6364 ext. 235. Meals on Wheels is a program in Sooke that provides people in need with nutritious, affordable meals. A small group of locals get together every Monday, Wednesday, and Friday at the Sooke Community Hall and prepare fresh meals to be sent out. Each meal costs $6 and is usually large enough to feed a customer for a full day. Lorraine Hoy, who has been volunteering for more than 12 years, said Meals on Wheels prevents seniors from being put in a care home, by making sure they are OK when dropping off the food, and by giving them fully balanced meals. Right now, Meals on Wheels is struggling to find enough volunteer drivers to help deliver the food. Volunteer driver Cheryl Asham said her role is very rewarding because she loves being able to go into the senior’s homes and see them thriving, and knowing that they are getting the proper nutrition they need. Each route takes a driver approximately an hour and allows them to see parts of Sooke they may not have seen before, and to help out people in their community. What is new in Sooke Region Volunteer Center? Carol Mallett has always been drawn to the French-Canadian joie de vivre, with its proud cultural heritage and picturesque language. She received her B.A. in French Language and Literature at York University, then did a year at the Université de Stasbourg in France to gain more fluency and learn about the birth place of the language. She has since had 32 wonderful years of teaching French, with forays into English 11 and Industrial Arts 8 (woodworking, sheet metal, and drafting). To top off her passion for “all things French”, she and husband David discovered – a mere eight years ago – that he is of Acadian French ancestry! Carol also loves to volunteer. She has given years to various organizations in Sooke, starting in the 1990’s with the Sooke Garden Club. She has also volunteered at the original Sooke Seniors’ Drop-In Centre (where she “did Mondays”), Ayre Manor, Sooke Food CHI, and the Sooke Fine Arts Seniors’ Teas. Though she has enjoyed all her volunteer opportunities, at least in hindsight as with the blown circuits, her greatest passion has been working with the members of SECHS (Sooke Elderly Citizens Housing Society) at Ayre Manor. There, she was a board member for 12-13 years, and wore many hats: acting as PR person and secretary, hosting Friday Night at the Movies, applying for grants to create the courtyard gardens, establishing Cooperative Scrabble Tournaments (a Carol invention, where all players at a table help find words, and the tables compete against each other), organizing Pot Planting days to create container gardens for patios and balconies, setting up the B’Ayre Essentials Shop, and party planning. If you noticed the fun and games in her list, you’ve noticed an important theme in Carol’s approach. She loves morale-building activities. Chocolate fondue parties, an event designing Seniors’ Centres out of marshmallows and skewers (the tallest won! 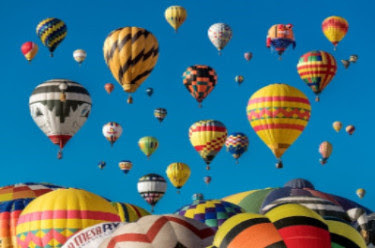 ), decorating the halls with quilts and pictures, installing a Christmas train in the lounge, and helping to tie written regrets to balloons to release into the sky on New Year’s Eve, are a few examples. The reason for the list? She has so many reasons to volunteer! She loves learning, meeting and being with others, and helping others in ways that exercise her own creativity and body, plus distracts her from her challenges. When winter rains come, she feels cheered to have a volunteer activity, whether planning something at home or out meeting people. At the top of her “I-love-volunteering-because" list is this: “Helping meet the needs of others helps me to meet my own needs.” When asked to explain, she says that all people need to meet five basic needs to achieve a high quality of life, according to both the Quality Schools movement and her own experience. Carol devotes her volunteering life to helping people meet these five basic needs, and has increased the quality of life for many in her circle, as well as for herself. She is an inspiration to many. Without her giving spirit and effervescent spark, there would be less love and laughter in Sooke. Thank you, Carol, and welcome to the Sooke Region Volunteer Centre staff! Our flyer with all information is available in most of our local businesses in Sooke. Yes, there are a lot of interesting sessions you can participate. You can join us for the Memoir Writing, Liveable Communities, Taste of India, Movies from Around the World, Fall Prevention, BC Transit and How to Prevent Financial Abuse sessions in September and October. All are by donation only, and free transportation is provided. We are also planning sessions about Alzheimer, Downsizing, Nutrition Talk, Advance Health Care Directive, How to Make a Will, Introduction to Tablet, How to Communicate Through email and Skype a much, much more in coming months. Please stay connected for more information. Golf Tournament - event helper September 14th! Volunteer Fire Departments everywhere are regularly looking for new members, especially people able to respond during the daytime. Volunteering with your local fire department is a great way to meet new people; learn new skills and get in shape. Volunteers not only protect their community, they also help to build community spirit. Sooke Region Museum is looking for volunteers! These are photos of one of the two narrow gauge rail engines the museum is restoring. We have come a long way, but we still have more to do. We are looking for more volunteers to help us. We usually get together on Tuesday mornings at 10:30 am to spend a couple of hours working on them. Educational Sessions for seniors coming soon! Trudy Vermaas went from loving cats to raising champion Burmese cats, to becoming a judge, to becoming one of only two European All-Breed Cat Judges in the northern European region. She recalls how difficult it was to gain the knowledge needed to accomplish these dreams, and it’s clear that she enjoyed the challenge as much as the accomplishment. In fact, it seems to be a theme in her life. To some extent, it is why she volunteers, and why she is even living in Sooke. She doesn’t let challenges slow her down. Decades ago, she moved to Sooke from Holland with her husband. They stayed for several years, then headed back to Holland. However, they couldn’t get Sooke out of their hearts – so they bought a retirement home here, and looked forward to returning. Sadly, before they could come back, Trudy’s husband passed away. Though she missed him terribly, and with her son’s encouragement, Trudy decided to keep to their plan – and in 2006, she returned to Sooke to face the challenges and learning that comes with living in a different country with different norms and values, and speaking a second language. Shortly after arriving, Trudy started volunteering at EMCS Society as a board member, and later as treasurer. This led her to attend meetings at the Sooke Child, Youth, and Family Centre (then, CASA) as a liaison for the EMCS board, which led to volunteering at the CASA community garden and the Youth Council Steering Committee. Trudy started working in the office at Sooke Region Volunteer Centre in 2013 because she was impressed by the number of volunteer organizations in Sooke, and the good they do. She is also intrigued by the questions: What do they need? How do we make them successful? Those questions became her next challenge, as she set out to make the volunteer organizations as effective as possible through her work at the SRVC. Trudy enjoys the connection to the community that working with the SRVC gives her, plus feels satisfied that she can make a difference. Trudy is a big believer in the sharing of knowledge, and continuously learning, both very valuable contributions she makes to the SRVC. If she could do anything differently? She would be an extrovert, so she could make even more of a difference and help even more people. However, her wonderful example in facing challenges and her eagerness to not only learn but to share what she has learned speaks far more than she realizes. Our flyer with all information will be available at the end of August. Please check community boards, visit local businesses to get a copy of it. It will be also advertised in local newspapers. You cannot miss it. Please mark your calendar for September 12th. This is the first day of the program. Sessions will be on Tuesdays and Thursdays here is Sooke. All by donation. To become a driver for Meals on Wheels, please contact Marionn Smith at 250-642-5424. Educational Sessions for seniors comming soon! Andrea Montalbano started volunteering in a secure compound in Albuquerque, NM, surrounded by high impassible walls – except these walls were meant to keep violent people out, not in. As she was getting her Bachelor degree, she volunteered doing “intakes” at a Domestic Violence Shelter. The shelter tried to be warm and homey, and though it was unsuccessful, the women and children who went there didn’t care. To them, it was a safe haven, and after walking through the doors, one of the first people they met was the empathetic University student who welcomed them and respectfully took their information. Many roads and life experiences led her and her family to Canada, looking for a place that “spoke to them” and when they reached Vancouver Island, they simply fell in love. They camped in Metchosin to explore the area further, and one day ended up in Sooke. They felt like they’d finally come home. Andrea continued to volunteer when her children were elementary students, doing things for their schools like implementing a reading program, helping the teachers, and working in the Safe Arrival program. “I’ve always enjoyed working with little people,” she says with a smile. Though they had to leave Sooke for a time, they came home again last July. Andrea started volunteering at the Sooke Family Resource Centre in Colwood, childminding the little people as their parents took classes. Then, when she met Agnes Kossakowska, the Coordinator for the Sooke Region Volunteer Centre, she became inspired by Agnes’ vision for the SRVC, and knew she wanted to become part of the team. Today, Andrea volunteers regularly for the SRVC, working in the office, and continues to be inspired by the good that the many community organizations do in Sooke, organizations that struggle because of a lack of volunteers. She then gave a paraphrased quote by Krishnamurti, a quote that affected her deeply at a pivotal time in her life, encouraging her toward volunteer work: When faced with a choice, go where you are most needed. This is what she tries to do, but just as much, she tries to give purely. Yes, she gave to the chronically ill for years through her job as a Social Worker, and knowing that she could bring comfort when things were scary and tough for them gave her a strong sense of value in her work. But she was paid a wage for helping them. Now she wants to give with no expectation of reward, not only as an exercise in giving, but as an exercise in self-exploration. Andrea might seem to be quietly going about her volunteering business, but in actuality, she is shaking the world. Thank you so much to all of you who returned our questionnaire. It is really so imporant to know what your interests are. We are working hard to organize as many sessions as possible and will give you information about all details in August. Volunteering with Girl Guides means you choose to have fun, explore, laugh, create, connect, mentor and inspire girls to become the best they can be. Girl Guides offers girls and women the chance to make new friends, challenge themselves and put their ideas into action through an amazing range of activities developed to support girls. When you volunteer with kids at Girl Guides of Canada–Guides du Canada (GGC), you're playing a key role in providing girls aged 5-17 with the fun and the challenge of Guiding. You'll be their cheerleader and mentor as you help your girls develop skills and confidence that will last a lifetime. Imagine the fun, the smiles and giggles, and all the confidence-building moments for the girls – and for yourself. Take the next step and start making an impact today! There are a number of ways to volunteer in an administrative capacity at GGC. Work as a Treasurer or an Adviser (international travel, camping, program, public relations, communications, etc.) to help plan program delivery. Or work as a Commissioner, a leader for a provincial council/district/area. For more information on ways to volunteer in your community, contact your Provincial Office or view National Volunteer Opportunities within the organization. To learn more about the benefits of Guiding and how you can register, please call 1-800-565-8111 to speak to a membership representative. This is free (to you) marketing and promotion. We encourage you include it in your regular marketing plans. Press release, special requests for assistance, AGM information, or whatever you need to get the word out about. It must be related to something happening within the Sooke region (Beecher Bay to Port Renfrew). Your logo and or a quality photo will help create eye appeal. We post it here in our Community Connections Newsletter and then share to our Facebook page 'Sooke Region Volunteers'. www.sookeregionresources.com is designed for organizations to create and manage their own listings for timeliness and accuracy. New listings do not show up immediately as they must go through a security check. Organizations may have more than one user account and password. Feature Banner on home-page: We require a write-up in text format and a quality .jpg photograph (at least 1100 x 300 pixels). Landscape format generally works the best. These we create upon request and are usually for special events and can run for up to a month before the event. We are here to help. For collaborative endeavours we can create listings and promote as our contribution. We also provide support to smaller organizations without technical capacity. As a child, Angela King was no stranger to volunteer work, though at that time, no one in her New Brunswick community called it that. Instead, volunteerism came under the label of: the right thing to do. Angela did her part by running errands and babysitting for neighbours, plus grocery shopping, collecting mail, attending to yards, and shovelling snow for extended family. In addition, her family regularly gave blood, as Angela and her sister helped in the Red Cross donor registration and aftercare area. Giving was just something most people did. You help others when you can, and when you’re in a bind, people help you. Between the ages of 12 and 18, Angela discovered the flip side of volunteer work; she became a recipient of the Big Brothers and Big Sisters Organization. Her beloved Big Sister profoundly changed her life by opening her mind to things she never thought possible, not only by encouraging her in countless positive ways to step out of her comfort zone and gain self knowledge and confidence, but also through new opportunities. Years later, as a member of the Canadian Armed Forces, Angela continued to give, not only through planned military actions and the military’s partnership with the United Way, but in her spare time as well. In fact, a compassionate act of volunteering brought her to the island. In 1999, while stationed in Ontario, she heard of a single mother asking for help. The single mother, also in the armed forces, was about to be deployed to the west coast, and was desperately asking for a volunteer: would anyone trade postings with her so she could stay with her child and existing support system? Angela volunteered to go in her stead, even though she had to leave a budding relationship to do it (a relationship that then ended), as well as sacrifice her own connections and support system. Angela stayed in the Navy for more than a decade after she moved west, and continued volunteering on the side. After finally retiring and completing a Commerce degree program at Royal Roads, it was a natural fit for her to create a business based on helping others. As a Life Assistance Facilitator, she cares for the infirm and shut-ins, as well as provides companionship, housekeeping, and mentorship. She regularly travels four hour return trips to provide food, clothing, and supplies to others in need, often preparing and sharing meals with the explanation that she has extra, whether she does or not. She also volunteers within the fishing community in sponsoring the Sooke Food Bank. Angela has been at the Sooke Region Volunteer Centre since last August, where she works to match new volunteers with opportunities, provides resources to drop-ins, manages databases, coordinates volunteer opportunities for the youth, and operates information booths. So why does this Volunteer Extraordinaire do it? What does she get out of it? When she was a child, Angela says that it was just the way things were done. Everyone gave when they could. The community was small and close, and helping each other was their family and community culture. However, after leaving her original environment, her reasons slowly changed and grew. Now, she does it because she enjoys feeling part of something bigger. Working for something more important than her own wants, for a higher cause, is not only satisfying, but gives her a strong sense of creating something of lasting value. Another part that draws her is the professional development she can explore. Volunteering gives her opportunities to learn new things, to get further experience in fields she is already proficient in, and to gain professional connections. By giving her time and expertise, she gains experience worthy of any resume. There’s no doubt she has returned her own Big Sister’s kindnesses a hundred-fold, and who knows where the impact of her own work will end? If carried on by those she inspires, it simply may not. On May 18th 2017, we hosted Big Brothers, Big Sisters Open House in our office. As you know Big Brothers Big Sisters of Victoria offers mentoring programs, which enhance a child's sense of belonging, self-worth, resiliency and capacity to make healthy, well informed choices. Now this program is available in Sooke!. Get involved and Become a Community Mentor Volutneer! If you have 2 to 4 hours each week doing fun activities and sharing your interest with a child this is a program you should volunteer for. You can help our kinds in Sooke! There are times where the words “Thank You” are not nearly enough!! This is especially true when recognizing Laura Smith!! Laura has volunteered for 10 years through SEAPARC to lead a Tuesday/Thursday walking group. She chose trails around Sooke and as she was a volunteer, affordability was not an issue for anyone. Laura strongly believes in living a healthy lifestyle, so helping the people of Sooke become healthier folk was a natural fit for her. My husband and I have been part of Laura’s walking group for seven years. We have watched a small group of strangers become a large group of friends. This didn’t just happen but was created due to Laura’s welcoming, caring, open, friendly personality!! We became a group where newbies easily connected with others. Where they learned about our beautiful city of Sooke and all the wonderful things it has to offer. Strong friendships were formed. The walkers, along with Laura, have laughed and cried together, have supported each other through times of sorrow and celebrated happy times. Laura’s gift of volunteering to lead SEAPARC’s walking club and the after walk coffees have also resulted in many members becoming involved in volunteering for clubs/groups/organizations that enhance our community. Laura Smith is retiring this year. Her 10 years of volunteering have resulted in creating healthier lifestyles for many people as well as making a difference in so many lives. We, her walkers, will be forever grateful for our time spent with this amazing, energetic, warm friend, Laura! We are thankful for the laughter, tears, jokes, companionship, beautiful walks and healthier us!!! Laura Smith ……..THANK YOU!! THANK YOU!! THANK YOU!!! The 2017 tax season was a great success. More than 200 returns were e-filed this year. We would like to say thank you to everybody that was involved in making this tax season a great result. THANK YOU! HeroWork is looking for volunteer leaders! Help lead volunteer teams during our 2017 Radical Renovations. It’s a great opportunity to be a community role model, participate in something totally amazing, and make a big difference at the same time. One event will be in July for Power To Be and the other in September for Anawim House. We need both renovation and non-renovation leaders and coordinators. These positions require participation weeks prior to the event for training and organizational purposes. If interested, we are holding info sessions on May 9th and 11th at the Vancouver Island Construction Association, 1075 Alston Street, from 6pm-7:30pm. Register for the 9th here and for the 11th here. If you want to be involved, but can’t make either of these days, just reply to this email and let us know. It is a great opportunity to introduce our volutneers, who support our center. We would like to share their stories and passion for volunteering. First edition will be in June. Can't wait! 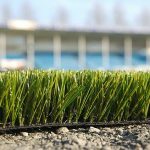 At a Special Council meeting held on Monday, May 1, Sooke elected officials approved a motion that they would give $270,500 to the Sooke Community Association for the first installment of the Turf Field Project on one of the Soccer fields at Fred Milne Park on River Road. It was noted that those funds would come from the $400,000 Playing Field Reserve Fund (bylaw 608). There was objection from a member of the public, as the land housing the playing fields was private and belonged to the Sooke Community Association. 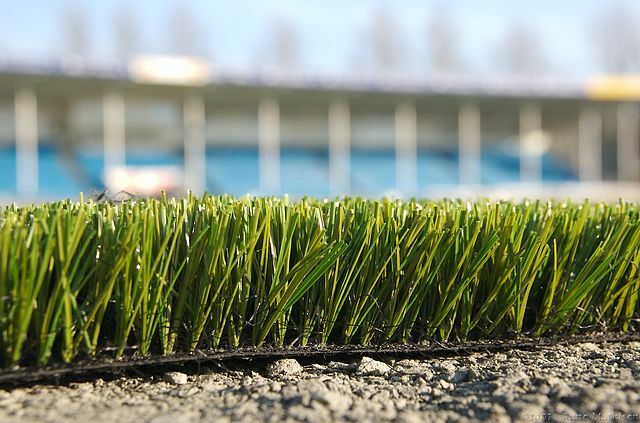 Other objections included a finding that removal of turf fields in general could cost more than the initial installation, and the expected lifespan of the current field was 10 years. Countering that was a statement that when the volunteer contributions from members of the Community Association subside, all lands owned by them would be probably sold to the District for $1. The Sooke Community Association was founded in the 1930s to undertake projects for the benefit of the community. Well, the dust is settling at the Arena, the tables are being stacked and the last items from the Auction are being picked up by their happy owners. What a great event! Originally started in 1991 this Auction has grown from its modest beginnings to be a major fundraiser for our Rotary Club. It could not happen without the generous support of the community from Victoria to Port Renfrew. Thanks are due to many-to the business that year after year graciously donate goods and services –this year totaling over $70,000.00. To friends of Rotary that give selflessly of unlimited time and energy- a shining example this year was of Dal Little, who spent hours working with a funky sound system and ended up driving to Victoria to get a new speaker for us! And of course to the many people who gave items for the Auction, and those that came and bid – on bikes, fishing and crabbing charters, pottery, art, clothing, jewelry, books, equipment, gift baskets galore…. The list goes on and on. These funds will come back to the community in the many ways Rotary supports Sooke. In the last year, we have helped John Muir Elementary build a teaching garden and outdoor classroom. We have sent three Youth to Leadership Camps in Powell River, Saskatoon and Prince George, and one to Rotary Leadership weekend in the U.S. We support youth with two scholarships annually as well, the Stu Youngson and Faith Jacobsen Memorial Scholarships annually. Rotary also supports literacy projects in Sooke, and gives money to each of the schools to buy books. In the past, we have helped build the skateboard Park ,the Rotary Pier, play areas at Casa and helped with a major renovation at the Food Bank a couple of years ago. Internationally we have supported many projects such as the Malawi Girls school, (Girls on the Move), and various community backed projects that help build the capacity and resilience of the communities. Our Club is also strongly supportive of the fight to end Polio. From the Sooke Rotary, we would like to give a huge THANK YOU to the residents of Sooke and the Juan de Fuca Electoral Area for the steadfast and ongoing support of our Club and our Auction. We truly could not do it without you. The third annual ARTiFACTS art show is on its way at the Sooke Region Museum this spring. Organized by the Sooke Community Arts Council, this exhibit will run from April 28 to May 28. The Upstairs Gallery at the Museum is open Tuesday to Sunday 9 am to 5 pm. ARTiFACTS will feature local art by both established and up. The Sooke Harbourside Lions are hosting their 11th annual Rubber Duck Race called “Duck Day at the Flats” on May 6th at the Sooke River Campground. This is a fun family event, featuring the “duck race”, concession, games, bouncy castle, face painting and more. You can adopt a duck to race down the river by purchasing “Duck Tickets” for $5 each or a “Quack Pack” of 5 for $20 sold at Pemberton Holmes or at the Campground Office. Proceeds go to help send kids to Easter Seals’ Camp Shawnigan and Canadian Diabetes Camp Kakhamela. Our Club accepted the “Lioness Bridging Program” offered by Lions International and “bridged” our “Lioness Club” (formerly Sooke Lioness Club) in September 2003 which became our official charter date. There were 25 original members of the newly formed Sooke Lioness Lions Club. On July 1, 2010 we re-named our club to the Sooke Harbourside Lions Club. The choir presents The Spirit Train with music celebrating train songs, African American spirituals and a few transcendent peices by Woody Guthrie, the Beach Boys and Billy Joel. 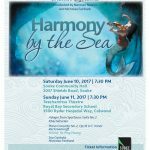 This deeply inspired arrangements sung by the Sooke Community Choir under the direction of artistic director Bruce Ruddell also includes piano accompaniments and a solo work performed by Kathy Russell with orginal percussion arrangements played by renowned Victoria percussionist Kelby MacNayr. The Spririt Train concert is performed at Sooke Community Hall. 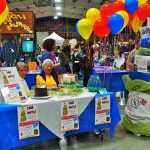 What is new in Sooke and Area? If you have ever volunteered, you may have noticed that you felt fantastic afterward. Maybe you saw a little boost in your mood, or that you felt like part of a team. You felt like you made a difference. When we volunteer, we may see real changes as a result of our efforts. We may even witness the effects that our efforts have on others in our community. When we volunteer, we know that we are helping others by giving our time and resources. People volunteer for many reasons. It may be to support a cause they are passionate about or to engage in their community. We often volunteer to help groups or individuals who need it the most without expecting any reward. Most of us want to help those less fortunate than ourselves. We do not volunteer, for the most part, because it benefits us. We volunteer because it makes a difference. But, there are even more benefits to volunteering. We notice a subtle shift in ourselves when we volunteer. We feel more connected to others, and we become less absorbed in the normal stresses of daily life. We share our experiences with others and want to help more. Sure, we know that volunteering makes us feel good. Yet, did you know that, when you volunteer, you are improving your life and maybe even your health? The benefits of volunteering are countless. But there definitely are social, emotional, physical, and professional perks. According to a recent survey, one in five workers (22%) are looking to change jobs this year. This is one of the reasons why employee retention initiatives have never been more important. People in the office or workplace have the advantage of face-to-face contact that telecommuters don’t. You must have an engagement plan in place and execute against it if you wish to keep the team you’ve worked so hard to build. Beware of disconnection and a lack of proper recognition and feedback. So, what’s a possible answer? Volunteer programs can bring people together, give them purpose in their work, instill pride in your company, and increase their conviction that your company is doing something worthwhile in the world. Plus, you’re helping give back to your community. Are you taking advantage of all an employee volunteer program has to offer?? Roughly 75% of employees rate teamwork and collaboration as “very important,” according to ClearCompany. Are you prioritizing teambuilding activities within your company? Your team will become more productive and effective if they collaborate and work together. Why? A team is made up of a group of people, and when those people bond together and understand each other, they become better able to support each other in their work. And isn’t this what every manager or executive wishes to see happen in the workplace — a motivated, autonomous, and effective team? Volunteer programs can create this much-needed bond. As your employees begin to work together toward a common goal in their volunteering efforts, you’ll see increased collaboration carried over into the workplace as well. Not interested in helping your team members grow and advance in their careers? That doesn’t bode well for your employee retention efforts. According to Training Magazine, 83% of organizations said that targeted development for all leader levels is “important” or “very important.” Yet, only 5% have implemented solutions at all job levels. People today are not looking for dead-end jobs. They want to explore the outer reaches of their potential and have a clearly laid out career path before them. Volunteer programs give your workers a way to dig deeper into their personal growth, and if you’re looking to develop future leaders within your company, you’ll see your team members come to life. People that aren’t natural leaders sometimes rise to new levels, discover new talents, and gain a broader perspective on the world when they’re engaged in volunteerism. If you want to foster more ownership from employees within your organization, volunteering may be a good way to bring this skill into fruition. Do your employees take their jobs seriously? Do they understand how important their role is in your company? The reality is that many workers are unclear about how what they’re doing fits into the bigger picture of the business. According to one survey, 53% of employees said they wish they had more insight into how their effort affected their employer’s bottom line. This was especially true for younger employees with 64% of those ages 18-34 wishing they had more insight. You may know how important their work is and why, but if they’re just doing the same work day-in day-out, they’re going to lose perspective over time. When people volunteer, they are often in direct contact with people that have great needs. They begin to understand how valuable their time and efforts are. This gives them a mission and a sense of purpose. Again, this can carry over into their duties at work too. Additionally, people are proud to work with organizations that are making a difference in the world. This can mean different things to different people. One survey found that 65% of people across various countries want to work for an organization with a strong social conscience. If they don’t believe the company they’re working for is contributing to society, or isn’t trustworthy in some way, they won’t take pride in their work and will begin to feel disheartened. More than ever, people want to make a difference and give back. Volunteering gives them that much-needed outlet. On the surface, it’s easy to see outside activities — such as volunteerism — as being a waste of time. Don’t limit yourself to this short-term thinking. When you understand that volunteering gives your team members greater purpose, you’ll see that your community isn’t the only one that benefits when you encourage your workers to do give back. About the Author: Jon Hainstock is the co-founder of ZoomShift, scheduling & time clock software designed for hourly employees. Jon lives in Burlington, WI with his wife Grace, and children June, Evelyn and Charlie. Connect with Jon on Twitter, LinkedIn, Facebook, Medium and Instagram. In partnership this year with Saint Vincent de Paul, the Sooke Region Volunteer Centre is once again sponsoring the Community Volunteer Income Tax Program (CVITP) for individuals and couples earning less than $40,000 in 2016. We are partnering with Saint Vincent de Paul for this initiative. This free service will be available from MARCH 1st - APRIL 21st. Our registered tax preparer will prepare income tax and benefit returns for eligible individuals. This service is available in both English and French. Contact us at 250-642-6364 ext 235 for an appointment or email coordinator@sookeregionvolunteers.org. A new GrantStation is coming in early April 2017. We will still have the same great content and the same high-quality listings of grantmakers. However, we are building a more advanced platform so that we can start delivering new tools and functionality for our valued Members. You will find a new look, new navigation, new search interfaces, and additional charitable database search criteria. Click here to learn more, and stay tuned for additional details about the launch and future enhancements. Once we launch, we will want to know what you think! All of our changes are driven by our conversations with our Members, so we look forward to hearing your feedback. If you have any questions in the meantime, feel free to reach out to David Preis, our Director of Member Services, at david.preis@grantstation.com. Imagine risking your life to take your children from persecution and war to safety. Imagine leaving behind everything to try for a new start in Canada, then waiting almost three years to find out whether you will be given a chance. Imagine you are finally are told ‎”yes”! It is with great delight the Team Sooke/Juan de Fuca Refugee Sponsorship Committee announces that the Iraqi family of four they are sponsoring has been officially accepted to Canada. The next wait is for the travel documents to be arranged. This could take as little as six weeks, but could take several more months. In the meantime, the parents and their two daughters (13 and 21) are working hard on English, and learning everything they can about their new home. They know this has been a community-wide effort, and look forward to moving to such a welcoming place. The sponsorship group will sign a lease on behalf of the family, and will guarantee that the property will be maintained according to the terms of the lease. Awareness Film Night and Sooke Region Food CHI will present our 7th annual Farm and Film Gala on April 12th. Doors open at 6:30 for stocking up, browsing and noshing in the theatre foyer. The film will start at 7:45 and the evening will conclude with gift basket draws at 9:20. The featured film will be "Seed: The Untold Story". 96% of the vegetable seeds available in 1903 have disappeared according to a National Geographic article that inspired this well-paced, comprehensive and beautifully-filmed documentary. Yet seed diversity is crucial to prevent the collapse of our world-wide food systems and ecologies. The film takes moviegoers around the world to meet farmers, scientists, seed savers, educators, lawyers and indigenous communities who are waking up to the need to save local, acclimated, not genetically modified seeds. Vendors will be selling local seeds, plants, first-of-the-season produce and other products created from locally harvested ingredients. There will be information tables from regional non-profits concerned with land, growing and sustainability and The EMCS Culinary Arts students will be preparing healthy cookies (by donation) to go with freshly-brewed local herb teas. Gift baskets will be filled with items donated by the vendors. The Gala will be held at the Edward Milne Community School, 6218 Sooke Rd. Admission is by donation.